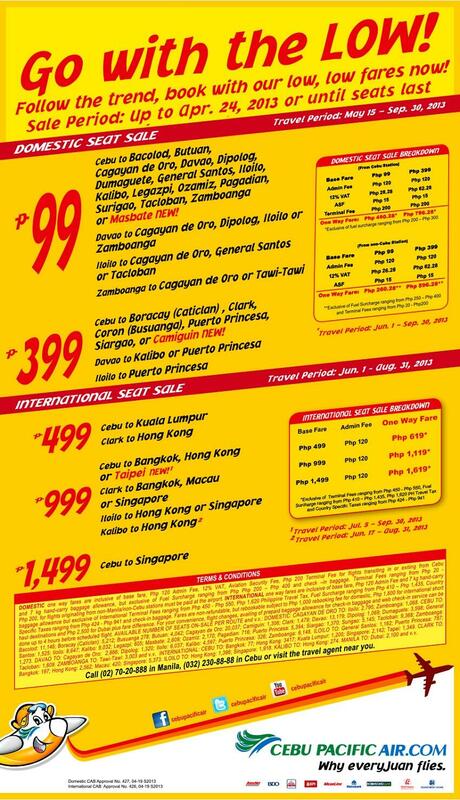 Low-cost airline and the biggest in the country, Cebu Pacific offers as low as 99 Pesos of base fare on their Cebu routes, both international and domestic. The promo is for those flying from May 15 to September 30, 2013. Here's the promo poster for the complete detail. 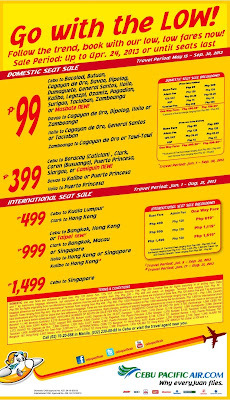 Tickets can be purchased online at wwwcebupacificair.com, at their ticketing offices or their accredited payment centers. The promo tickets can be booked until April 24, 2013 or until they last.